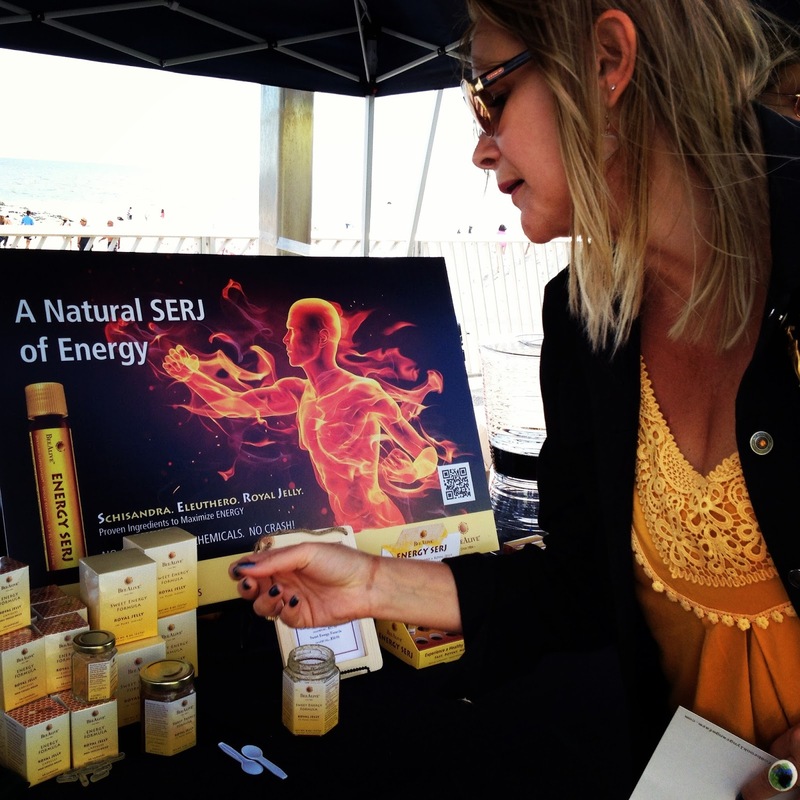 On Saturday, September 7, Team BeeAlive 'bee'dazzled the crowds at the third annual NYC Honey Fest, hosted by Brooklyn Grange Rooftop Farm and Rockaway Beach Club at the 86th Street Boardwalk at Rockaway Beach, recently rebuilt post-Hurricane Sandy. 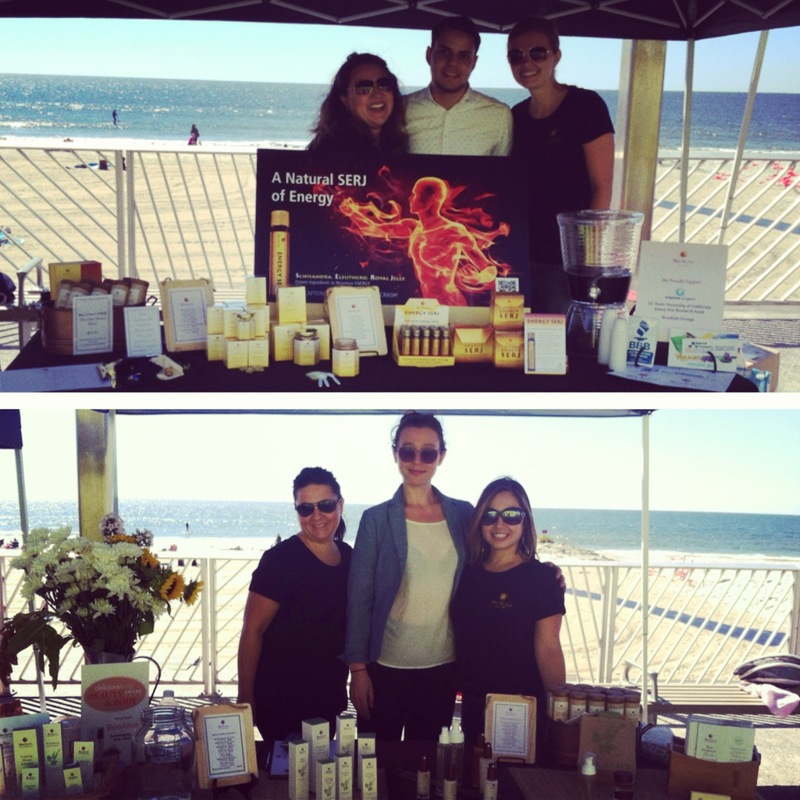 Seven of us took on the beach wind with two booths on the boardwalk -- one showcasing our Royal Jelly supplements and Energy SERJ, and the other displaying BeeAlive Spa Essentials natural skin care. 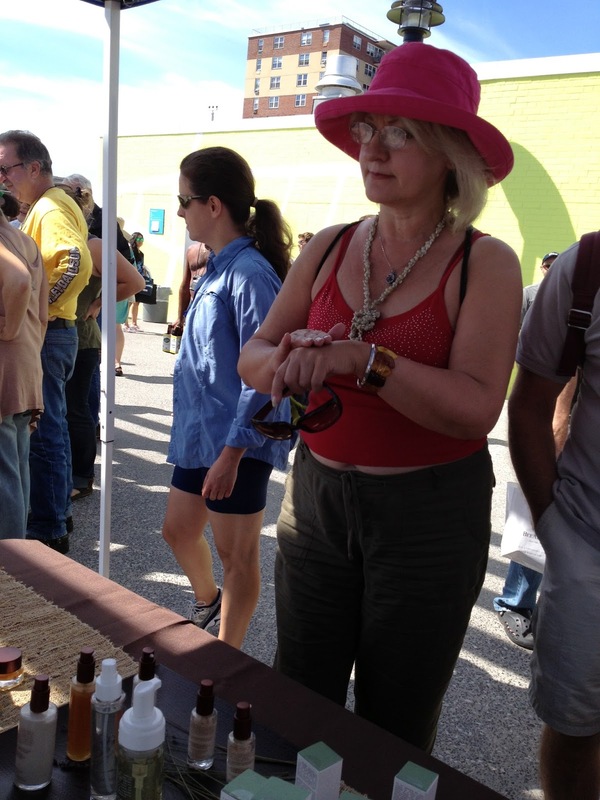 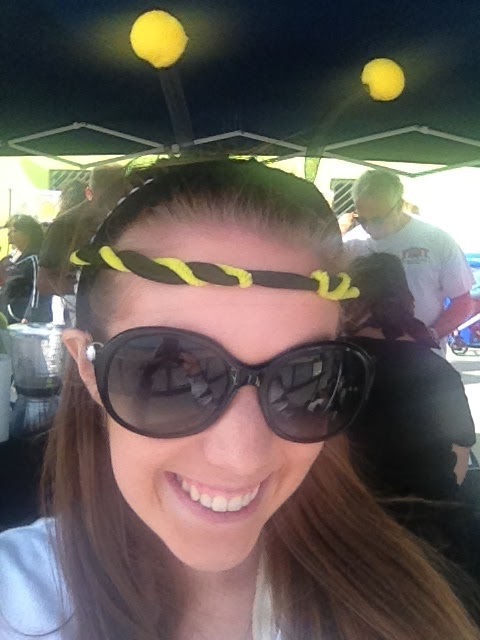 Alongside our booths were various bee-inspired honeys, beers, arts and crafts, candles and even pickles! 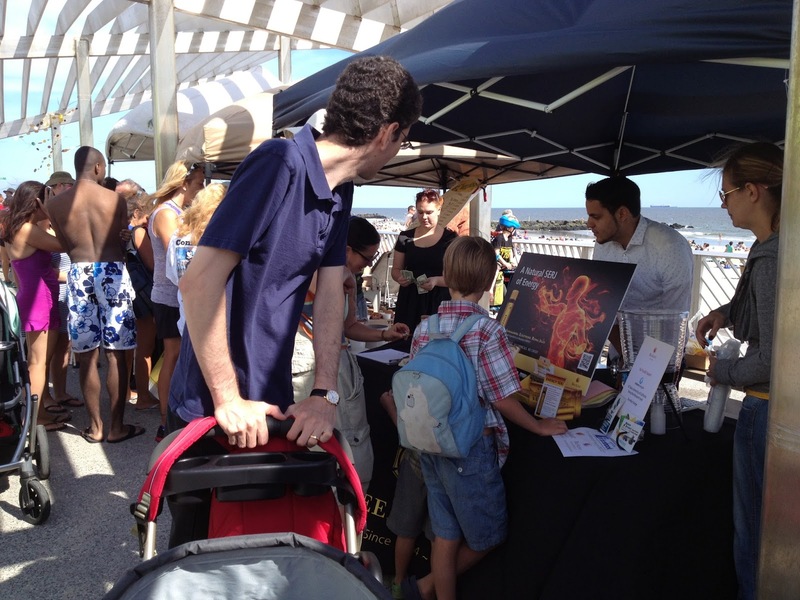 We loved meeting bee lovers, beach bums and passersby at the Boardwalk. 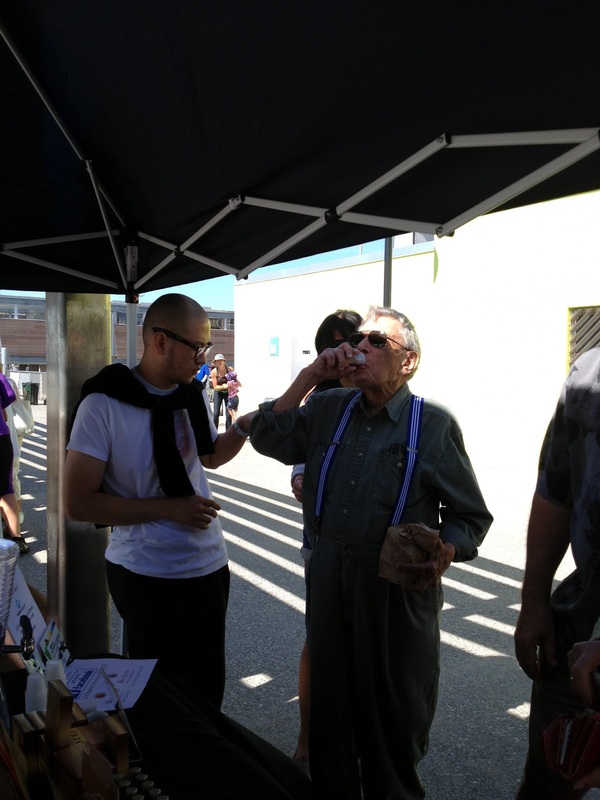 Visitors couldn't get enough Energy SERJ and loved it as a natural alternative to their regular energy drink or coffee afternoon pick-me-up. 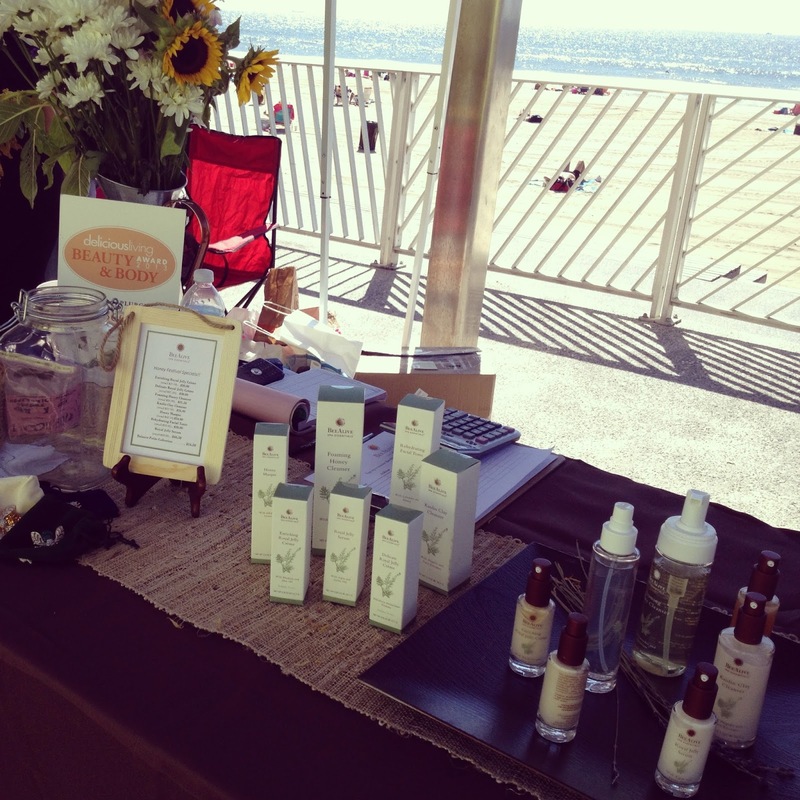 Many women visiting our Spa Essentials booth have been using honey on their skin for years, and were so happy to find a natural skin care line that incorporates not only honey, but Royal Jelly, propolis and pollen, as well! 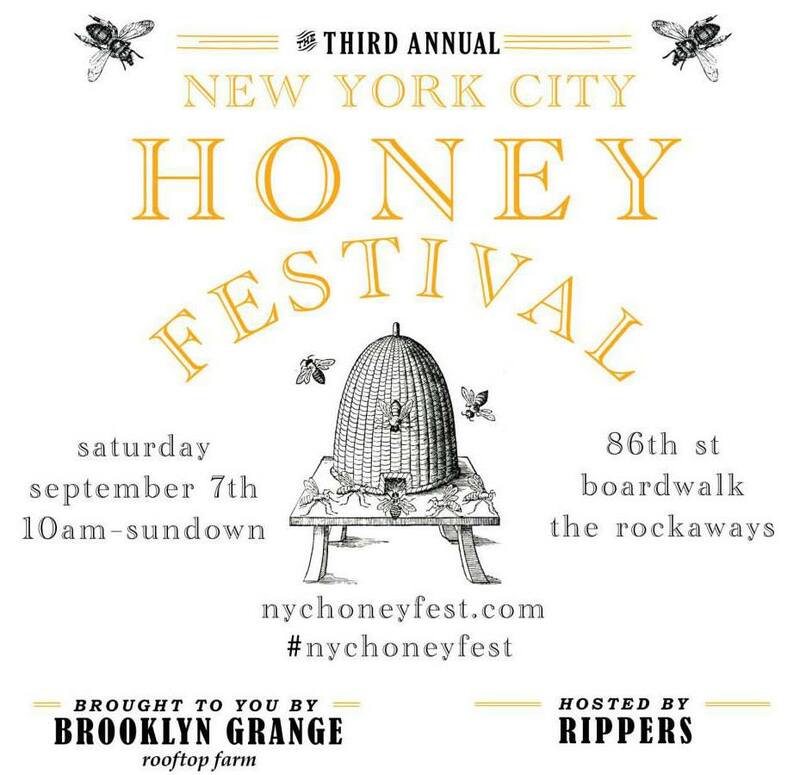 Looks like a lot of fun, would love to go to the nyc honey fest. 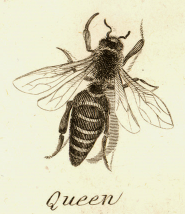 Does this cost anything to go to?